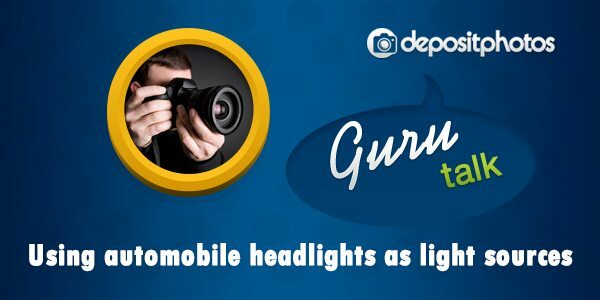 Anyone who has ever held a camera has, at some point either used or thought of using headlights as lighting equipment: they are fairly bright, they’re relatively soft and warm and they are there – cars are ubiquitous. Needless to say, some of the best-known names in the business have used them (not exclusively, of course) as backup, fill, and sometimes even as a main light source. I know I have! So, what’s the deal? The most obvious time of the day to use this method is twilight. It’s not going to work as good late at night without any fill and backup (and if you have them available, what’s the point of using your headlights, right?). You can also use your headlights during the day; I find that you get some amazing results in the early morning fog. In short, use them any time: be creative, but be smart. In darker conditions, set low ISO and a wider aperture (as wide as your lens will allow) – you’ll need all of the light available under these conditions. Personally, I think that ultra-sharp, HDR-retouched images taken in the dark look a bit unnatural, so, don’t worry if they are a little soft – although, make sure that there’s plenty of character present in the frame: that’s what’s important. 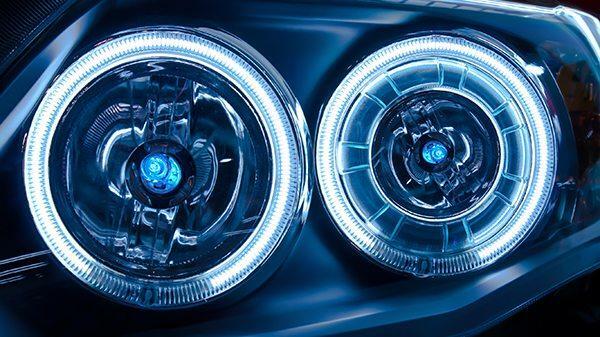 What is crucial to understand is that different types of headlights differ, first of all by color temperature. For example, traditional halogen lights on older models are the warmest. However, most of the modern makes and models use LED lamps or Xenon, which is the coldest, the “whitest” color available in the commercial market. (BtW, be careful with color temps above 6000K, they can be tricky to work with.) What does it mean for you? It means, set your WB on AUTO and be a happy camper. Of course, pros enjoy fiddling with all kinds of light measuring devices and camera settings in order to achieve perfect results; but then again, pros don’t use car headlights to illuminate the scene, either! You’re going to need an assistant for this one. 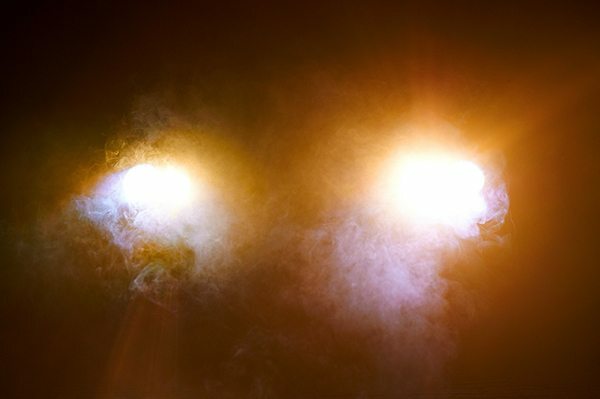 Since you can’t regulate luminosity on car headlights, the only way for you to make the flow denser or dilute it a little bit, is to move the vehicle. Ideally, this should be done by somebody else, while you’re waving them closer or farther away. Believe me, it’s exhausting when you are veering around yourself, trying to find the sweet spot, getting in and out of the car, squatting and squinting, then getting back in the car and repeating the whole cycle all over again. So, what do I do? I find a background, against which I’m thinking of making my shot, fill it with light from my headlamps and only then begin working with a model – kind of like in a studio, only with a single light source. Think about it: the two of us can shift around for a while finding an agreeable position against the light source and each other, take a few shots and then reposition the car and repeat. Works like a charm! This is one of the major beauty parts about shooting with the help of automotive headlights. The ray is long (especially with the high beams on), and even though it quickly disperses, when an object is being put in that kind of light, it may throw quite an intriguing shadow. I’m sure, you’ve seen this effect before in Hollywood movies or in comic books: a villan on top of a mountain throwing a long shadow over the edge because of a car parked on a slope right behind him, grill up, shooting bright light in the sky. 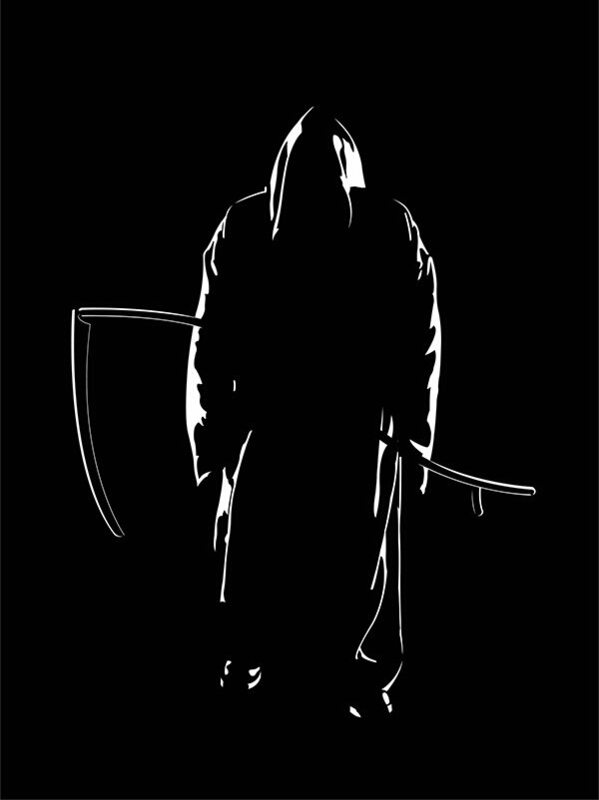 You can’t see the face but the silhouette is so sinister, you don’t need a pair of eyes on this guy to make him scarier – you already need a change of underwear! And, of course, modifying the light. There are filters, reflectors and similar pieces of photographic equipment, which are considered the essential kit, and you should use them. But if you don’t have them handy (and since we’ve already gone as far custom as any self-respecting photographer can afford to go without having himself thoroughly ridiculed by his entire entourage – from his car-moving assistant/girlfriend to his bingo-playing grandma), we’re not going to engage in further extremes. I mean, if you wish to do away with the crazy, by all means, use the exploding cellophane bulbs, play with the electrics, or even set your car on fire… But we can achieve interesting results by simply being creative and remembering the basics. For instance, that garden hose spraying water into the light can create a genuine rain effect or the fact that a bed sheet fixed over the headlights by a couple of rocks will soften the flow significantly, creating a magic ambiance in almost any environment, any time during the day or night.